This summer, Marvel Super Heroes are landing at Walt Disney Studios Park for the Marvel Summer of Super Heroes season at Disneyland Paris. Spider-Man, Black Panther, Iron Man, Thor, Black Widow and the Guardians of the Galaxy will all be there for another never-before-seen season, with multiple shows and experiences that promise to be EPIC! A brand new innovative stage show will be the main event, giving guests a truly immersive experience with their favorite Super Heroes. 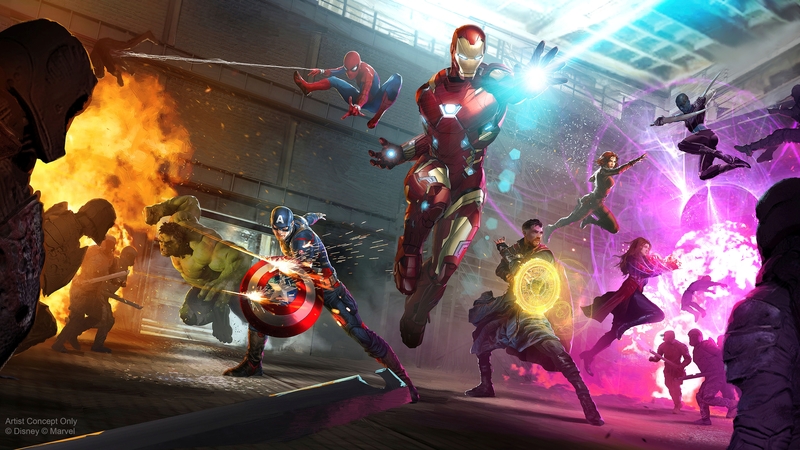 This seasonal event is the beginning of a broader, long-term presence of the Marvel universe at Disneyland Paris, including a new Marvel-themed area and attraction, as well as the first Disney Hotel to showcase the thrilling world of the Avengers, Spider- Man and more rolling out in 2020. These new Marvel experiences are just one of the ways Walt Disney Parks and Resorts continues to bring immersive worlds to life for guests around the globe. Among the new additions for this summer, the Marvel: Super Heroes United show will bring together favorite Marvel Super Heroes for a new live show with cutting-edge technology. This live-action super-production mixes a huge 400 m2 stage with one of the biggest LED screens in Europe, incredible special effects and, for the first time, in a Disney Park, the indoor use of drones beneath unbelievable aerial choreography for a truly spectacular show. During the season, the show will be performed up to 5 times per day.The Marvel Summer of Super Heroes seasonal event will be at Walt Disney Studios Park every day from 10 June through 30 September 2018.